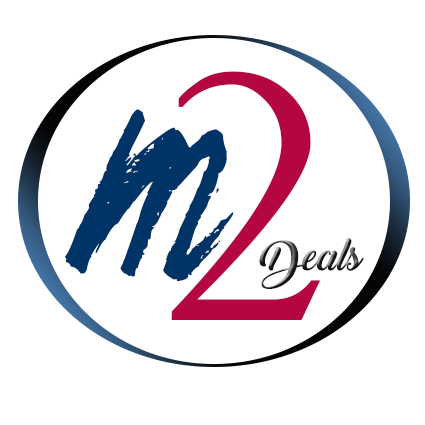 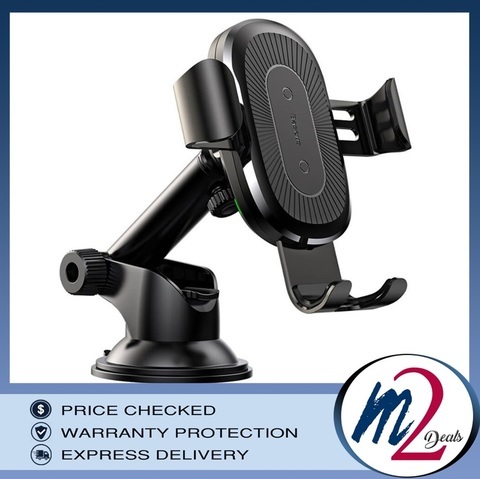 This product is featured with 2-in-1 design. 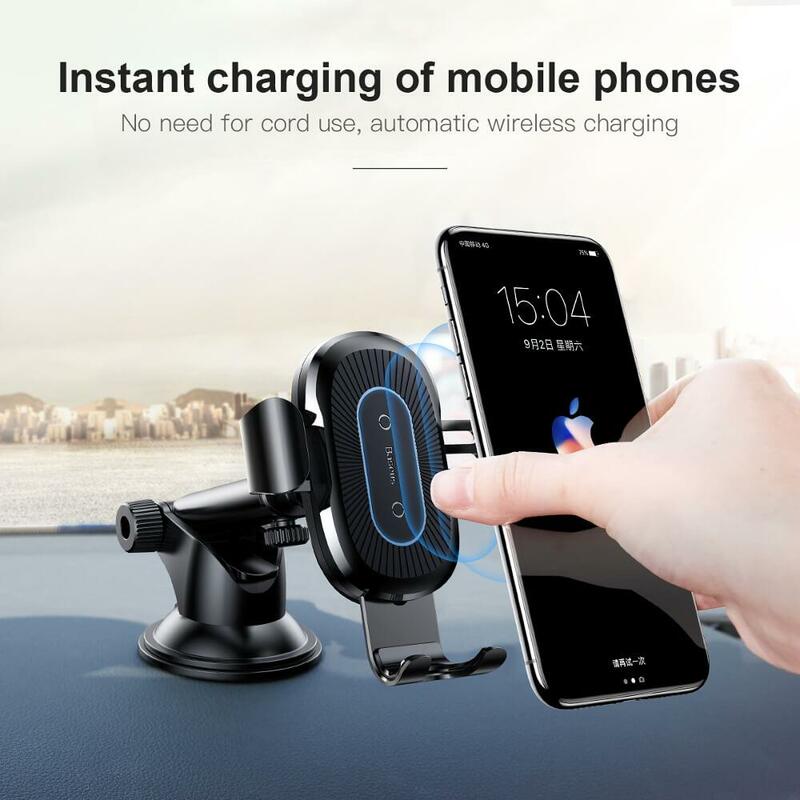 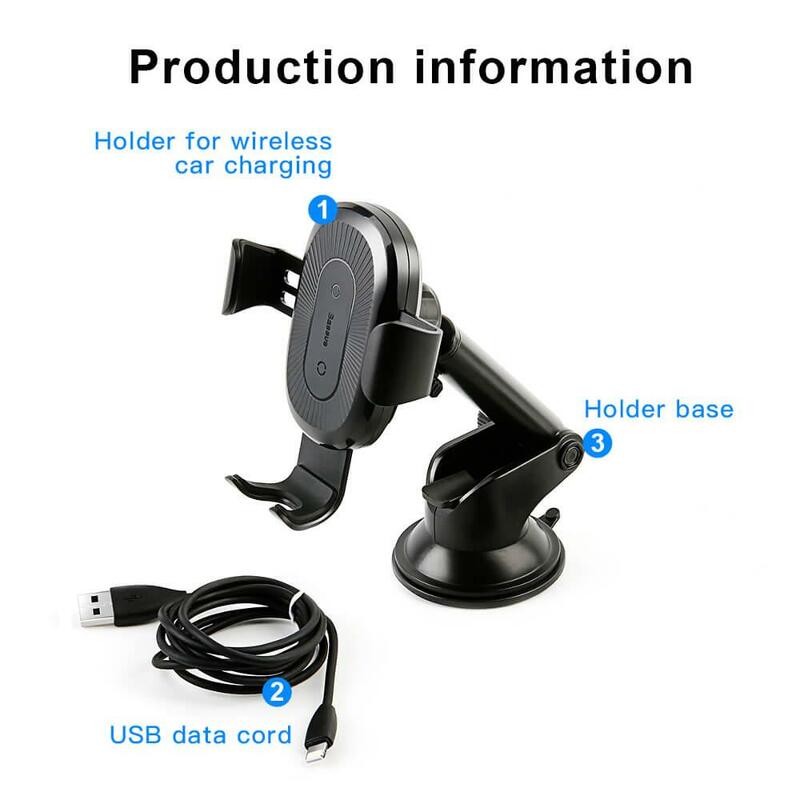 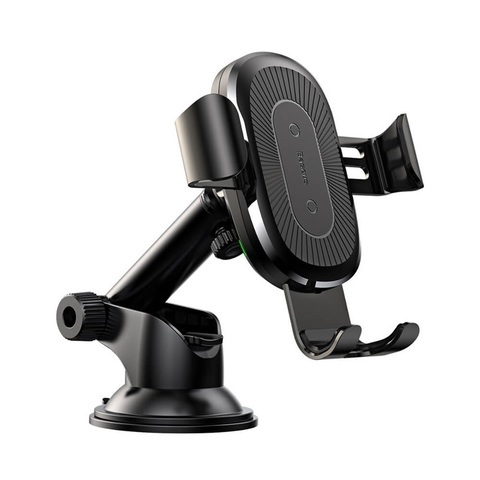 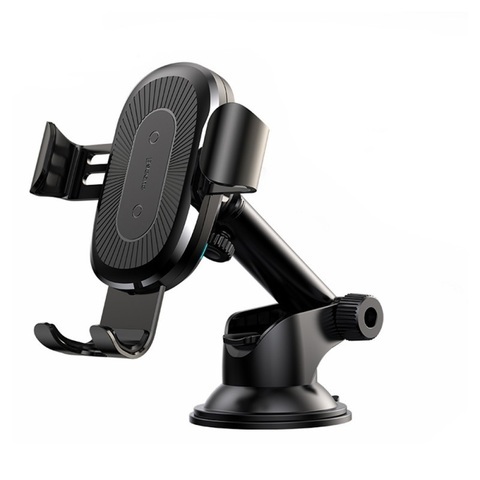 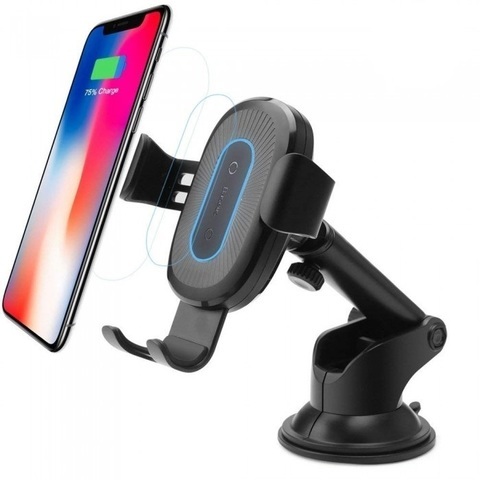 It functions as both a car mount holder and a wireless charger. 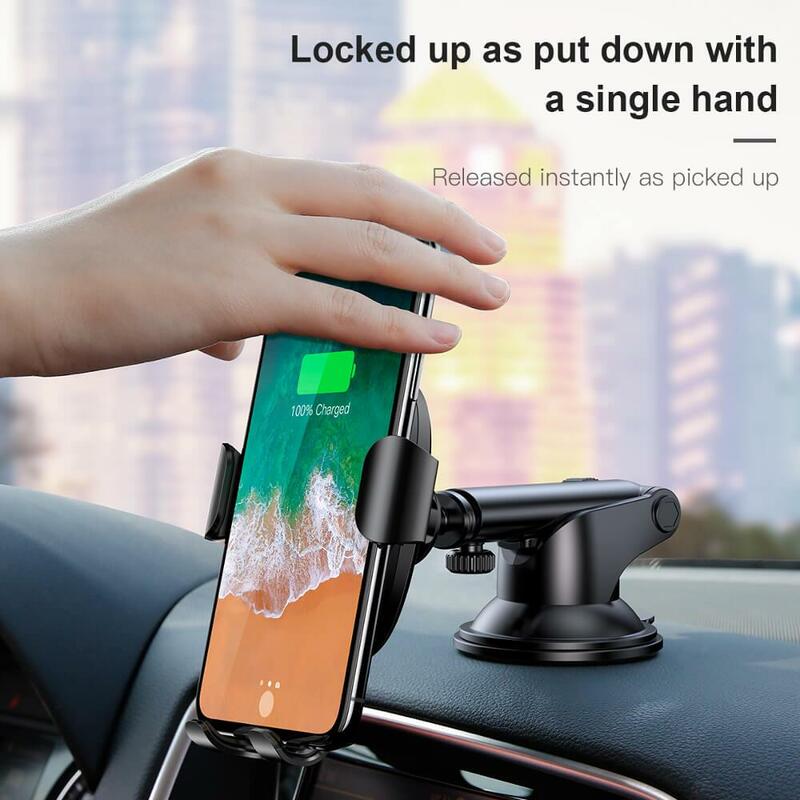 Adopting gravity mechanical principle, it can be automatically locked when the phone is placed inside, and it can be automatically unlocked by losing gravity when the mobile phone is taken away. 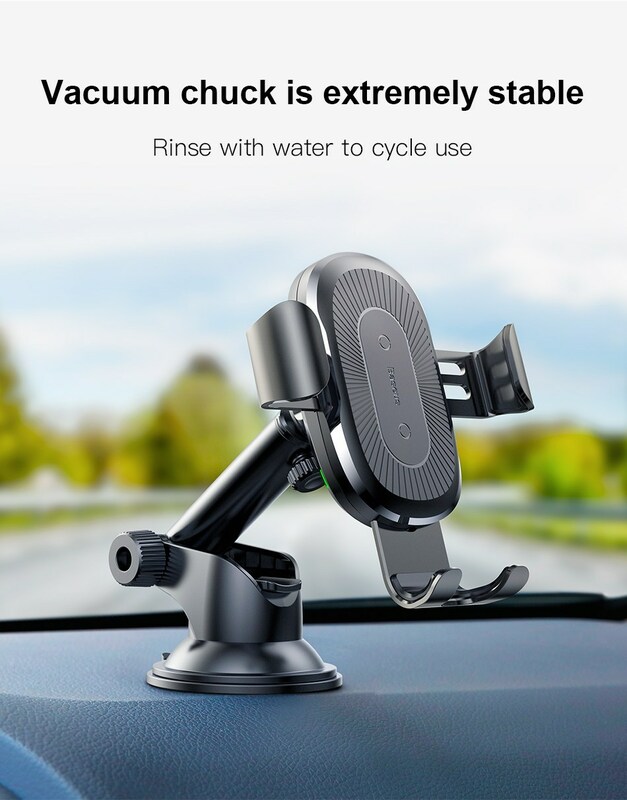 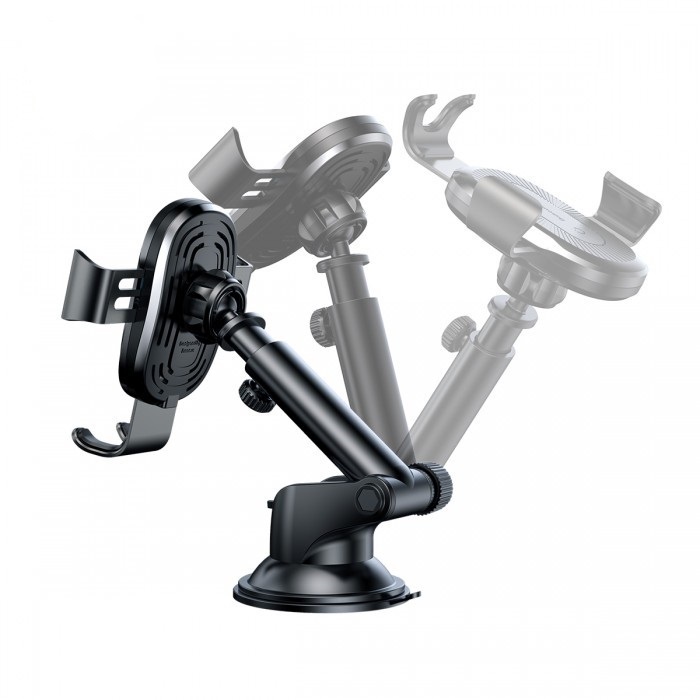 Gravity car mount holder. 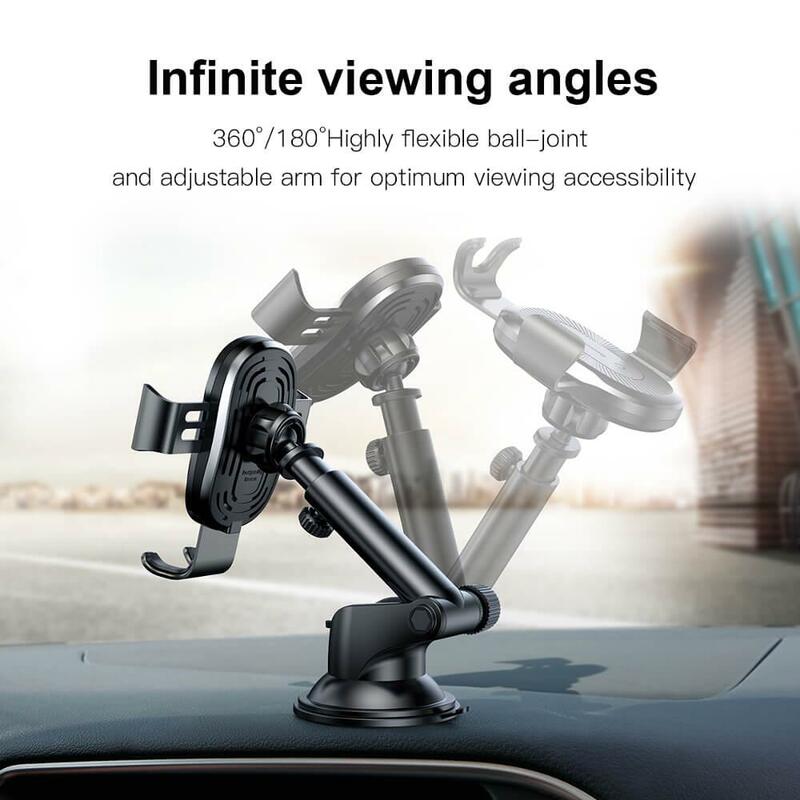 Allow one-hand operation. 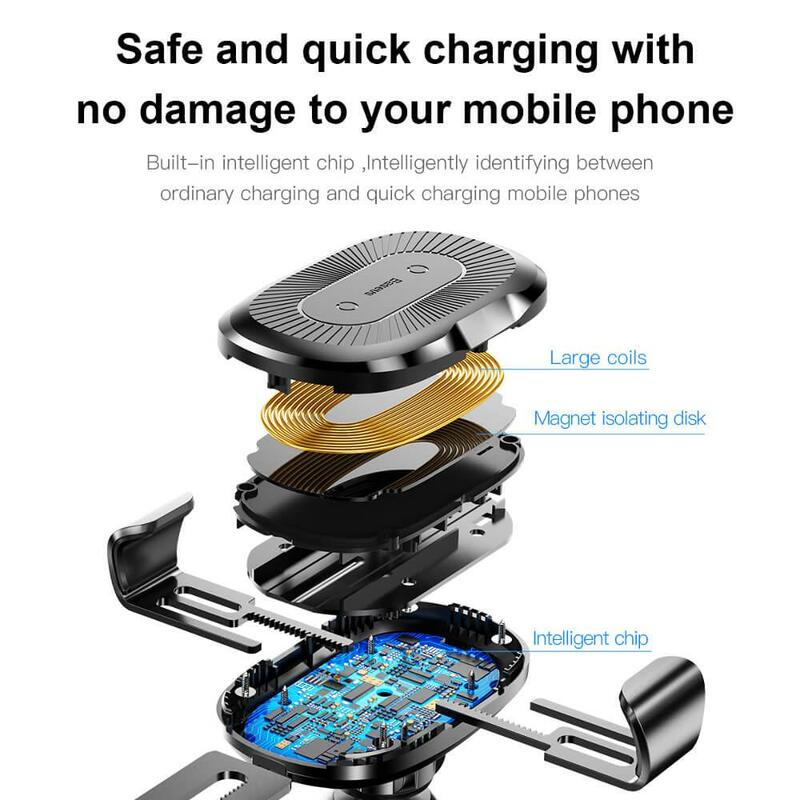 Built-in intelligent chip. 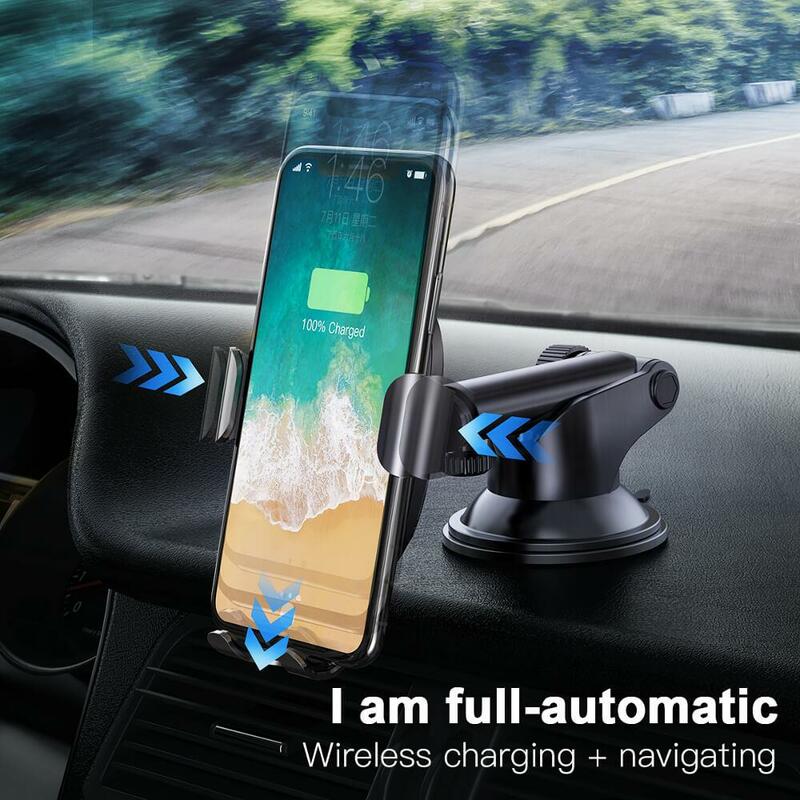 Adjust the required current according to different devices. 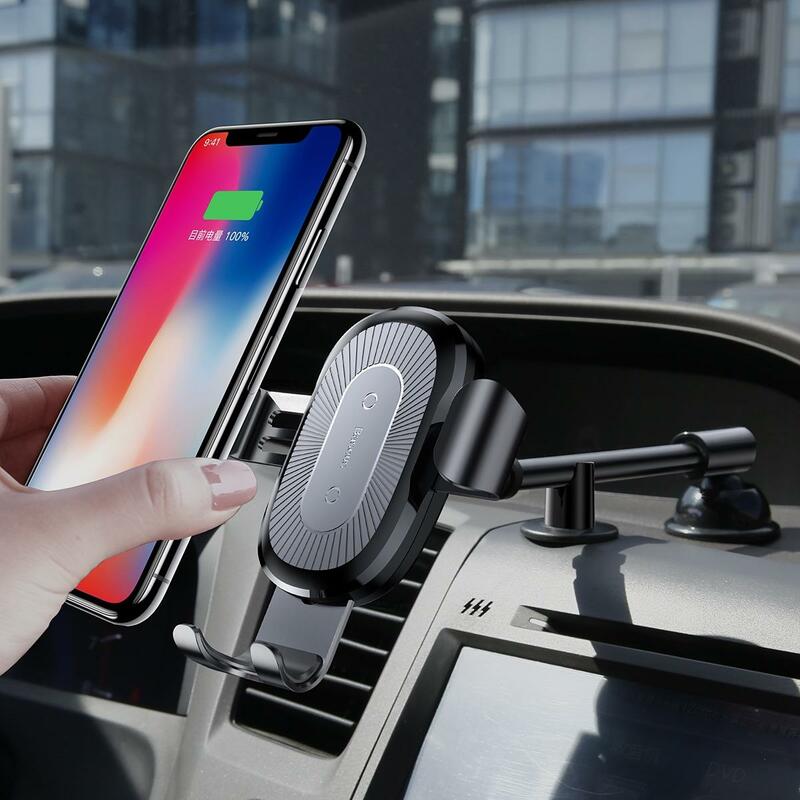 Optimal Safety: This wireless charger is smart design, its built with over-voltage, under-voltage, temperature control, surge protection and short-circuit safety protections.